Welch Village sits in the densely wooded scenic Cannon River Valley and has been family-owned since 1965. 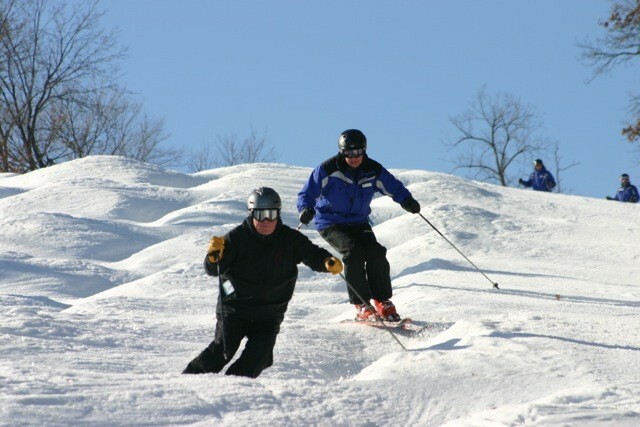 It offers a nice variety 60 trails spread out over 140 acres of skiable terrain that cater to all skiing and snowboarding levels, and a quartet of black-diamond, front-face runs that are among the steepest in the region. Two nicely spaced day lodges along the bottom of the sprawling ski hill offer lots of eating and lounging choices. Ski school programs, rentals, ski patrol, kinderlink and kinderlink rentals, food services, lockers. Day lodge chalet expansion of 8,400 feet.